Today’s the day! 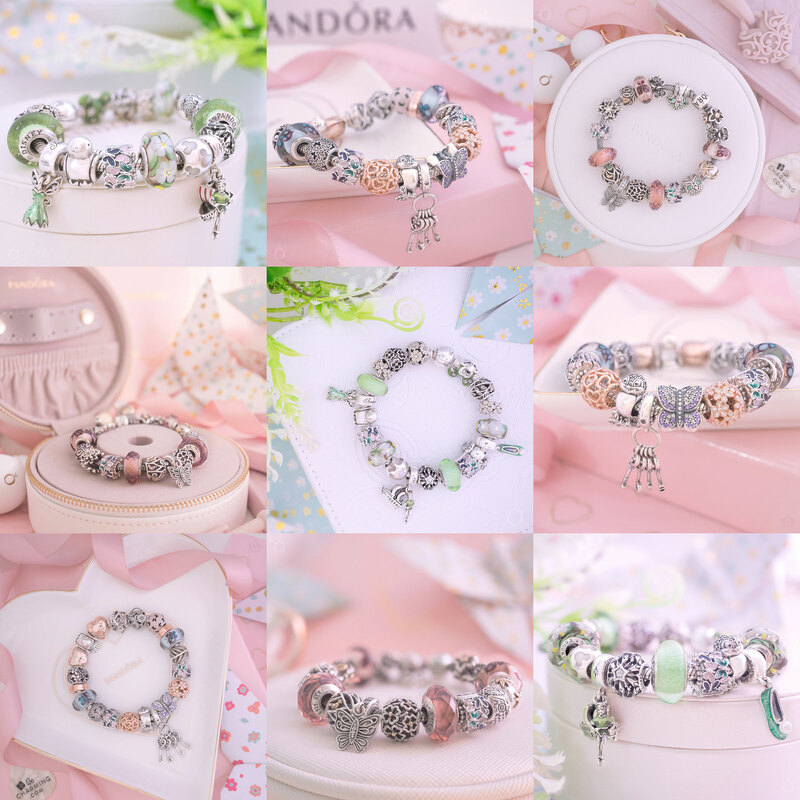 The PANDORA Pre-Autumn 2018 Collection is out now! It’s finally here! 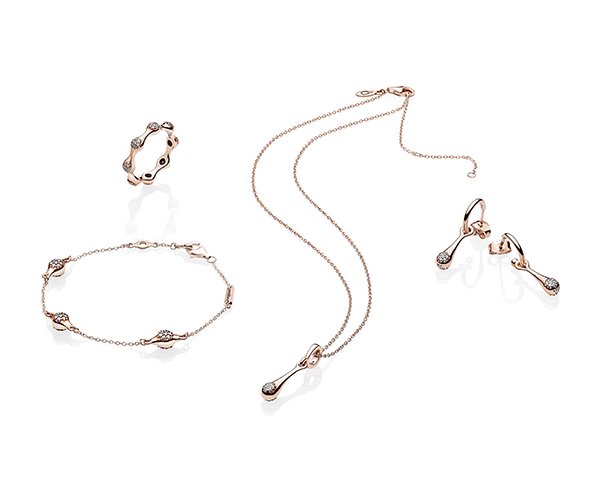 The PANDORA Pre-Autumn 2018 Collection is full of exciting spinning and reversible jewellery in stunning silver, PANDORA Rose and PANDORA Shine! 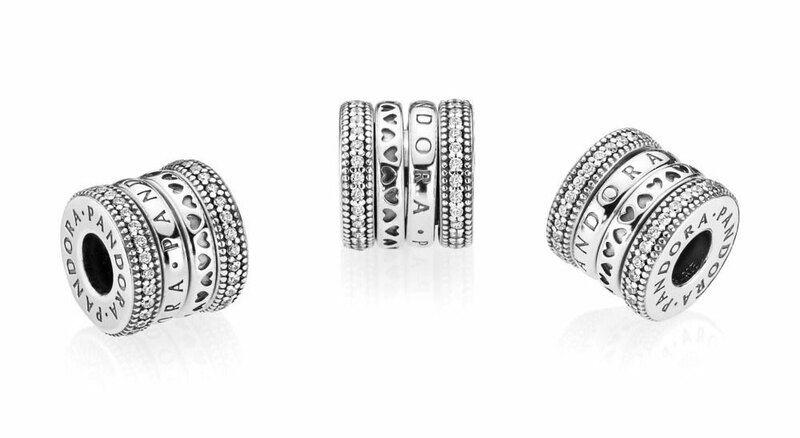 This years Pre-Autumn collection includes a slight redesign of a PANDORA classic. The Love Pod range! 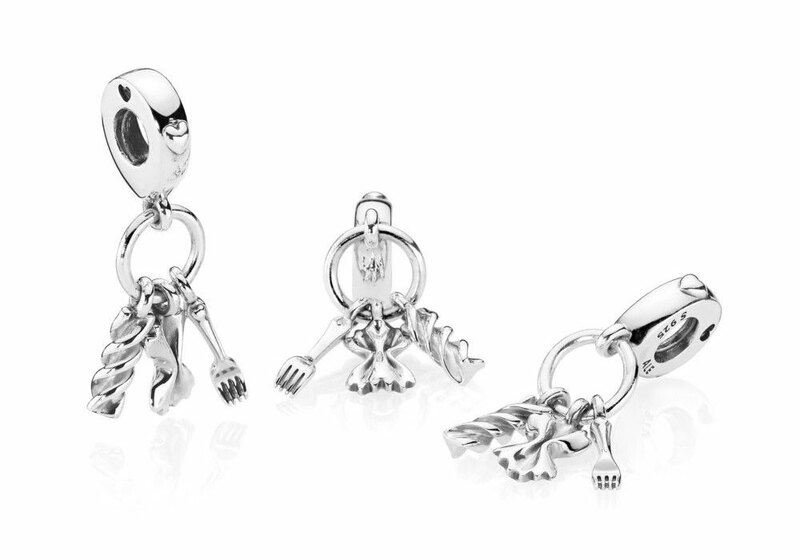 Now the charming pods will be available in silver, PANDORA Rose and PANDORA Shine. Instead of diamonds they will feature clear cubic zirconia stones which will make the range more affordable. These new letter charms from PANDORA have different finishes on each side enabling you to create an interesting contrast of textures on your bracelet! Here the new Reversible Letter Charms are features on bracelets along with the PANDORA Signature Clips and a new PANDORA Signature Heart charm. I am excited to see that the Floating Locket Bangle is used in the photo as it was meant to be released in the PANDORA Spring 2018 Collection and still hasn’t arrived. 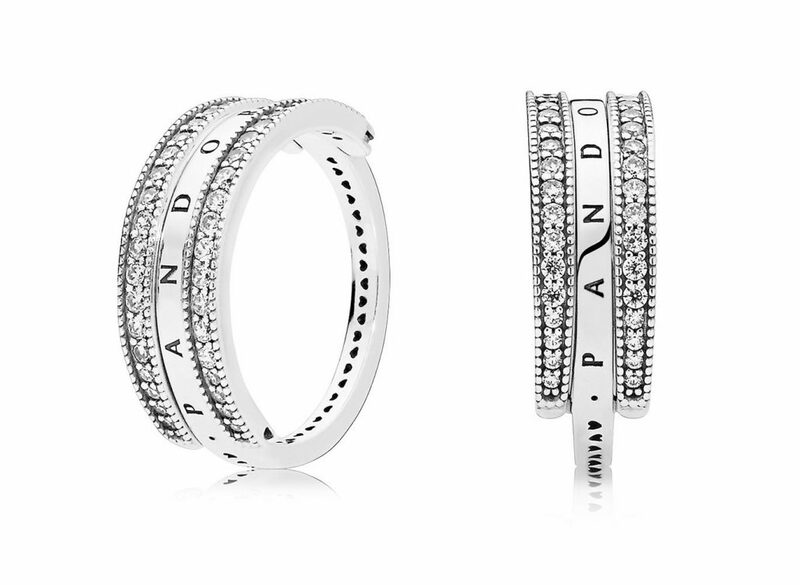 Hopefully it will be released as part of the PANDORA Pre-Autumn Collection. 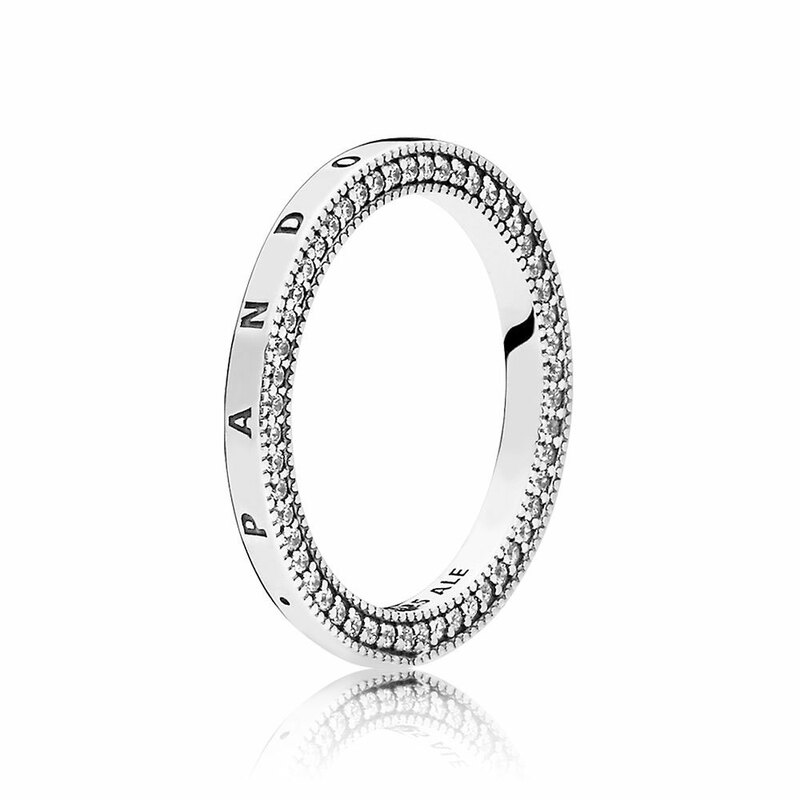 This charm is one of the new movable charms from PANDORA and I think it will be quite interesting to see how it works. I wonder if the spin will be quite loose and it will move for itself or whether it will only move when turned. This is the second new movable charm and it is easier to see how this will move. The centre disc spins around and rotates from its middle axis. 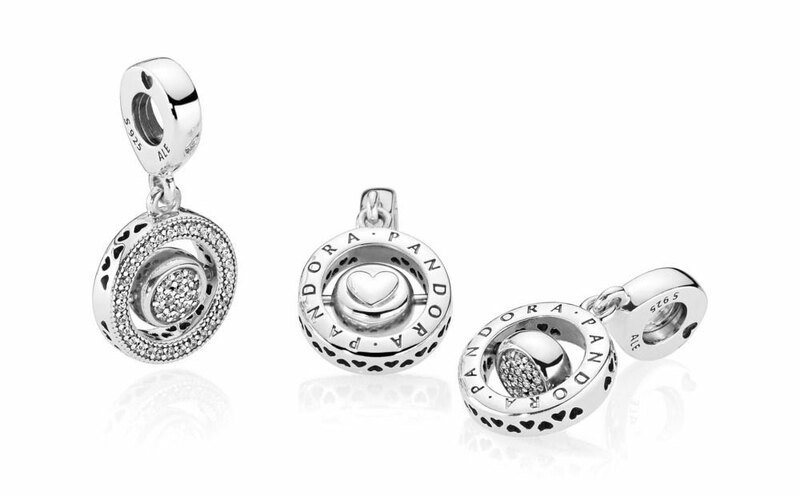 One side is engraved with ‘PANDORA’ and an embossed heart on the centre of the charm. The reverse of the charm is set with clear cubic zirconia stones and tiny cut out hearts create a pattern around the edge. Featuring all the f’s; farfalle, fusilli and a fork, this interesting charm is perfect for a pasta lover. Each element hangs separately from a centre ring, adding a pretty playfulness. Do you have any friends who would love this charm? The freshly cut slice hangs above the pizza, ready to be eaten! A mouth-watering topping is crafted from red and clear stones and hand-painted green enamel. On the base of the pizza the word ‘Love’ is engraved, making it a fun souvenir of a trip to Italy. This bright charm features a flip flop, drink and tambourine with the Brazilian flap on it. 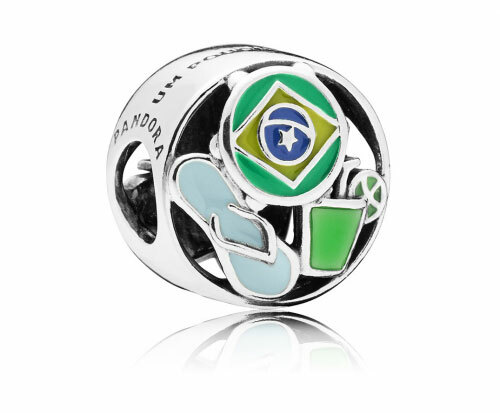 The previous two Brazilian charms have recently been retired and were included in the PANDORA Summer Sale and it appears this is the new charm for Brazil. 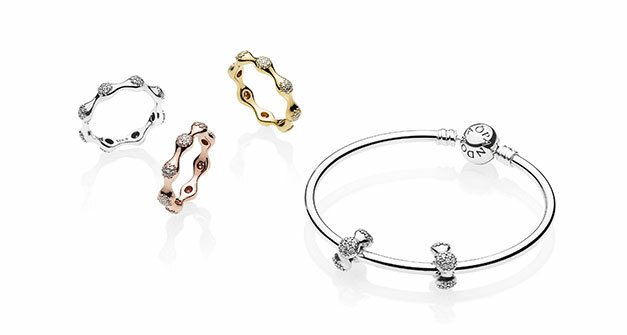 The PANDORA Padlock Bracelet will be also available in a choice of PANDORA Rose or PANDORA Shine. 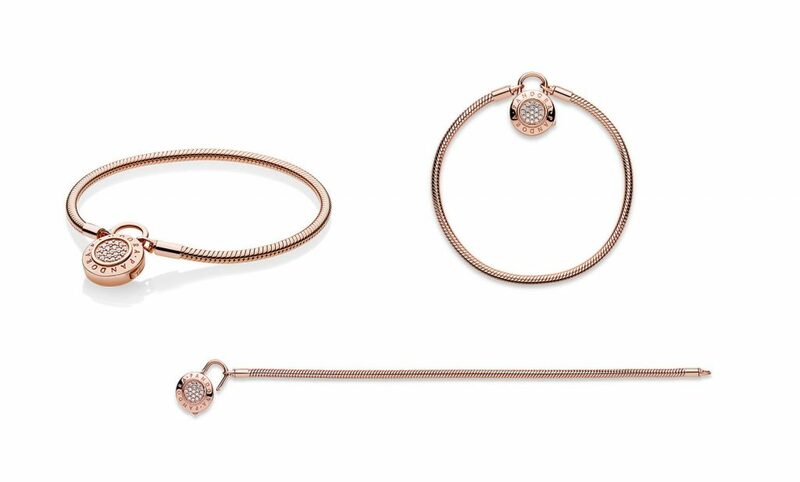 The stunning PANDORA Mesh Bracelet will be available in PANDORA Rose. There is not a PANDORA Shine version due out yet but I am sure there will be in the future. 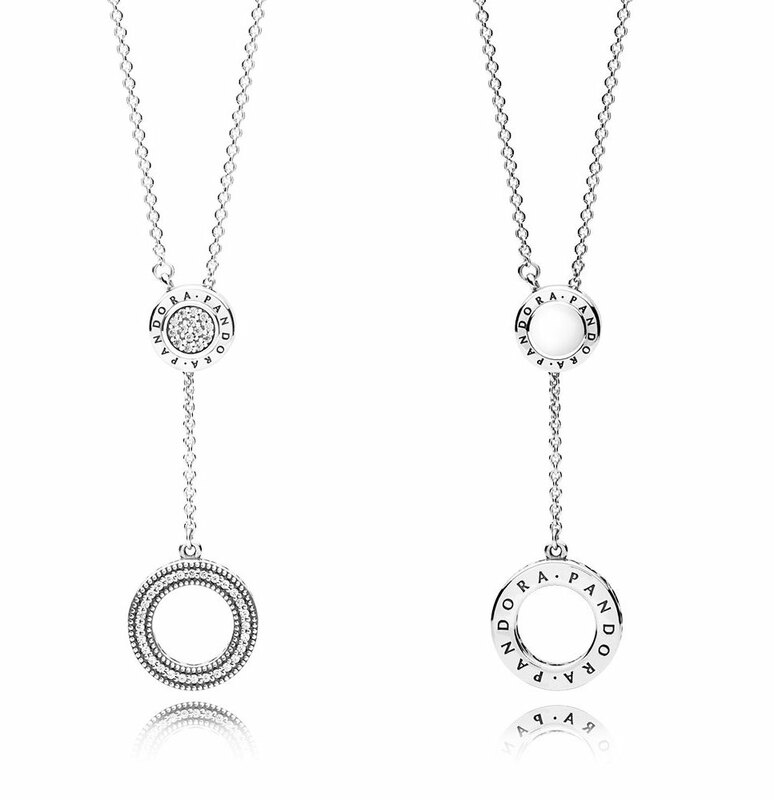 Continuing with the Signature collection we have three different style necklaces. This Y necklace can be adjusted to suit both high and low necklines. 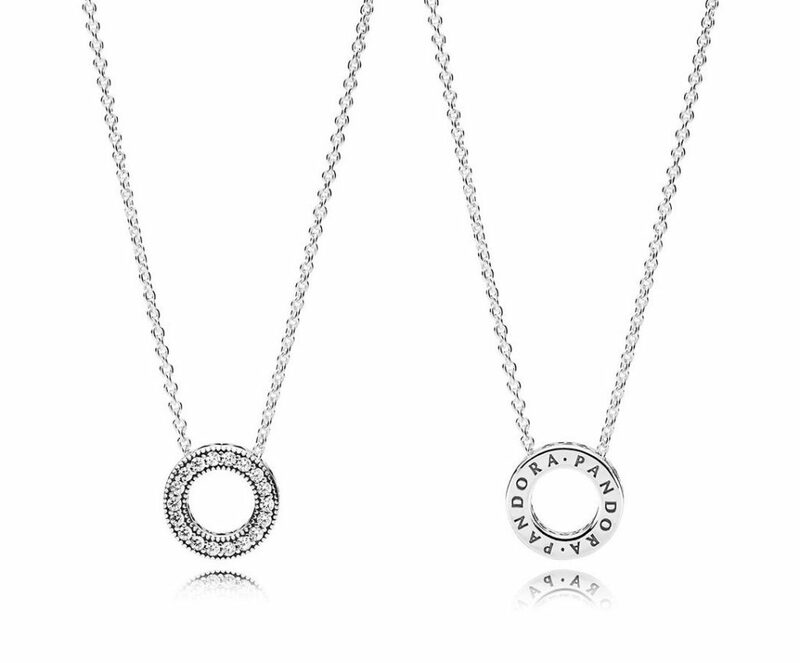 One side of the necklace is embossed with the PANDORA logo and the other features shimmering clear cubic zirconia stones. chain is 45cm in length and can be adjusted to 42cm and 38cm. Although this necklace isn’t necessarily something I would wear, I do think it is fun! 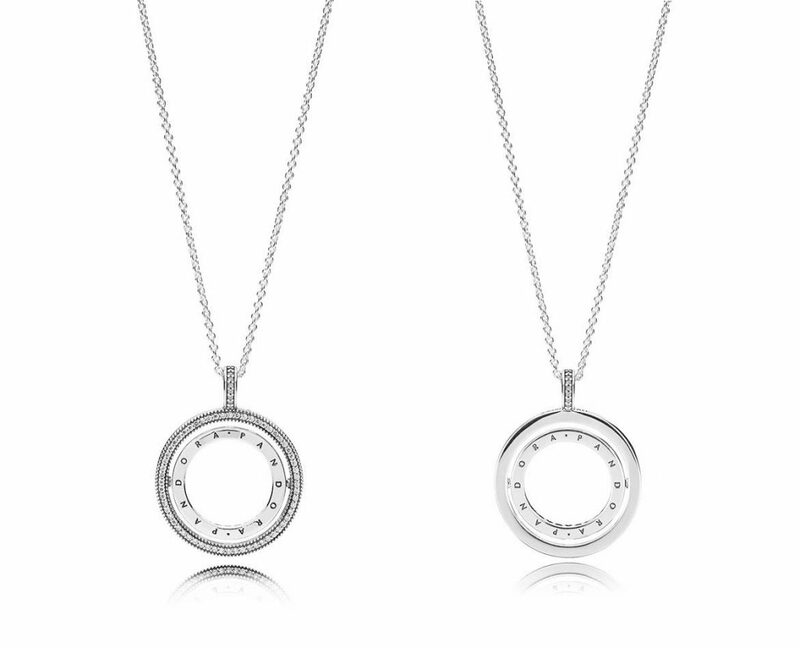 You can change the look of the necklace by spinning the inner circle to pair it with the outer circle of your choice. The chain is 60cm long and has a sliding clasp, so you can adjust it to the perfect length. 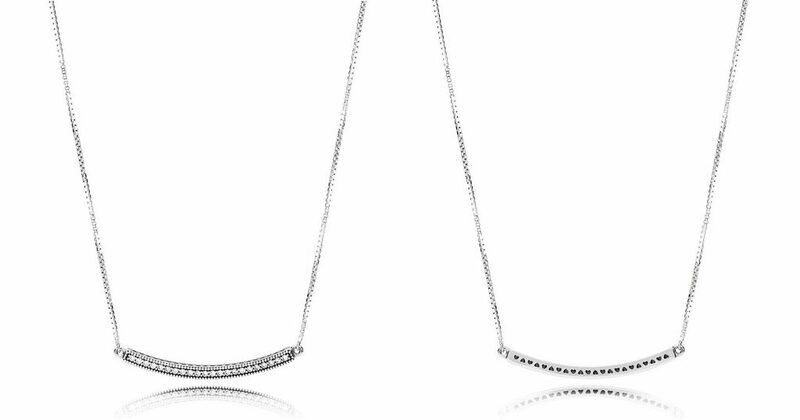 This minimalist bar design necklace is similar to the Arcs of Love Necklace from the PANDORA 2018 Valentine’s Day Collection. 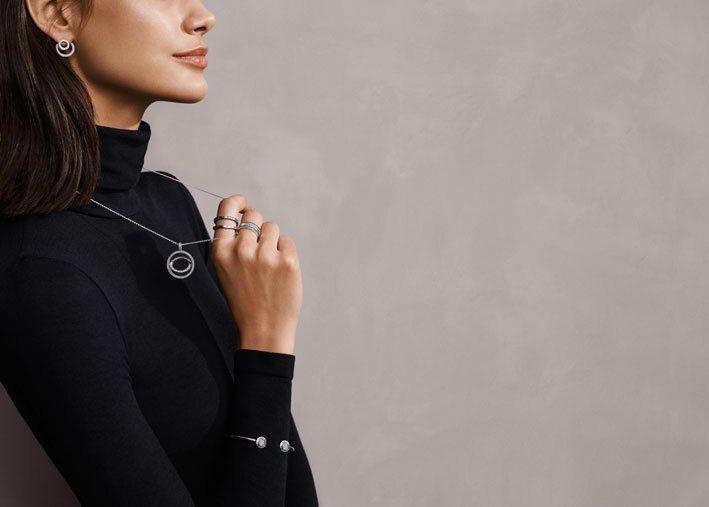 As per the other necklaces in the PANDORA 2018 Pre-Autumn Collection, this necklace can be worn either way around. Similar to the Love Lock Ring from the 2018 PANDORA Valentine’s Day, this Signature Ring features a circular ‘lock’ with the PANDORA logo and 14 glittering pavé-set stones. The two lines of clear stones can be flipped to either side on this versatile ring. 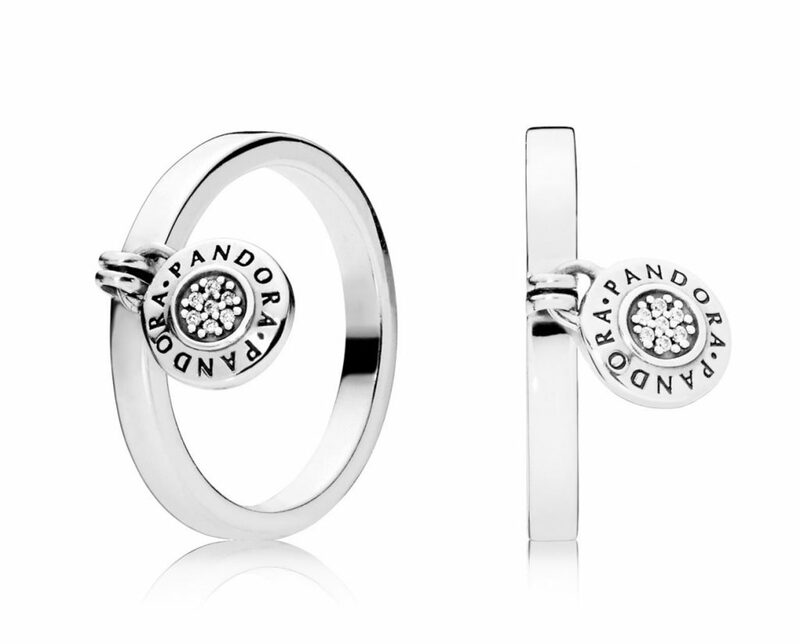 Choose to wear them together with the PANDORA logo or the cut-out hearts, depending on your mood. This Signature PANDORA ring features the logo, cut-out hearts and shimmering cubic zirconia. You can stack to either show off the sparkling stone-studded side or the heart detail. 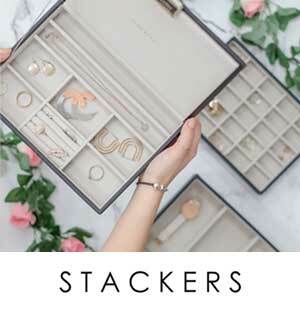 This one pair of earrings can be worn five ways! 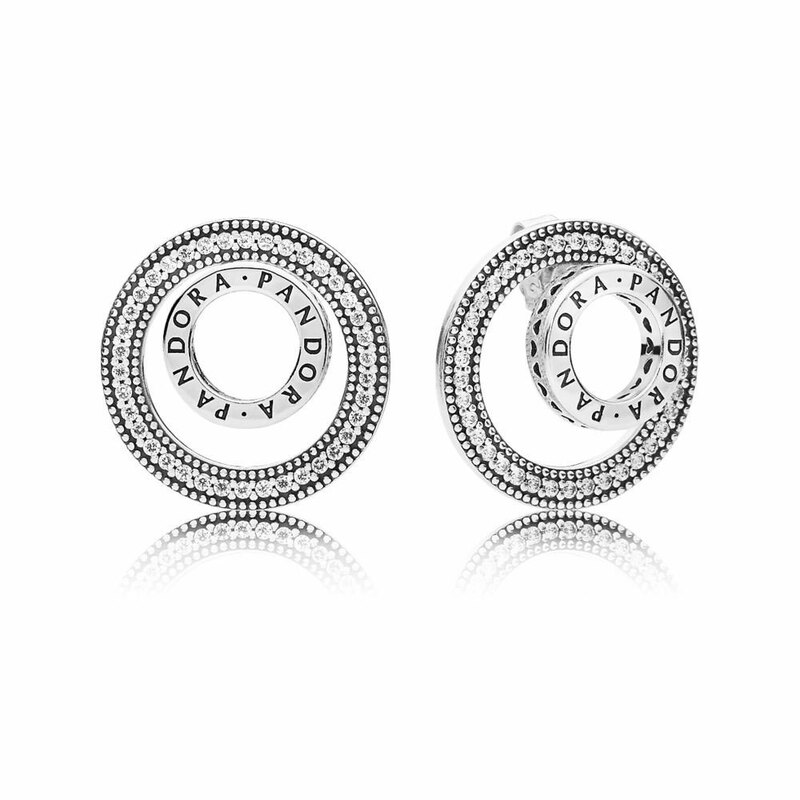 The two-piece stud earrings feature the PANDORA logo on the front circle and sparkling stones on the back circle, creating a two-dimensional graphic design. Wear both circles on the front of the ear, or wear the jacket at the back of the ear for two unique looks. Reverse those options for another two looks, or wear the small circle alone for the fifth and final look. Which is your favourite look of the five options? 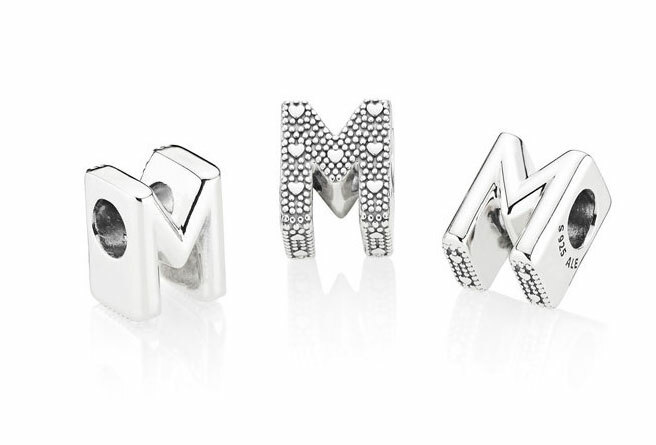 Engraved with the PANDORA logo, these elegant stud earrings will elevate any outfit! 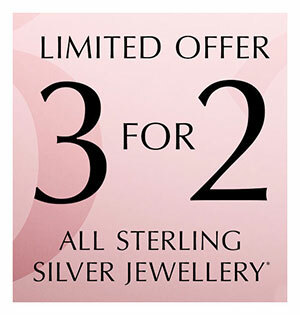 Available in silver, PANDORA Rose and PANDORA Shine. Great Post! Loving the love pods! Especially the earrings and the pendants! Going to be a must for me! Also the crown charms and spinning charms! All a must for me! In fact I’m off now designing my new brackets ha!! I’m glad you like it! Did you buy any of the original Love Pods the first time round? I am interested to see how the moving charms work. 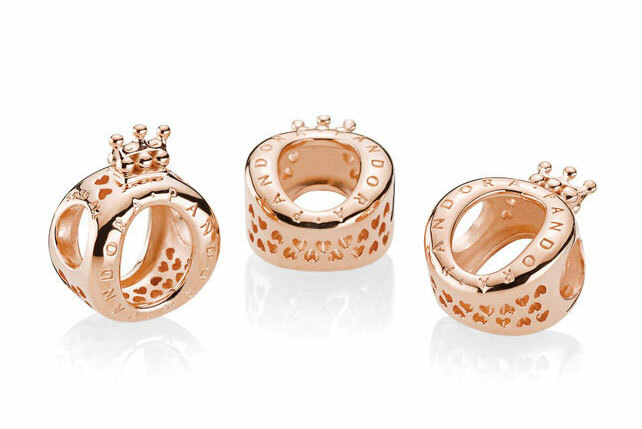 The Crown O charm might be a good charm for to use to represent this blog! Thank you for commenting and enjoy your bracelet designing! Thank you for sharing your views and commenting. Enjoy your day! I haven’t got the prices yet but I will add them to this post once I do. Generally the PANDORA Rose jewellery is $10 more than the silver and the PANDORA Shine is $10 more than the Rose. 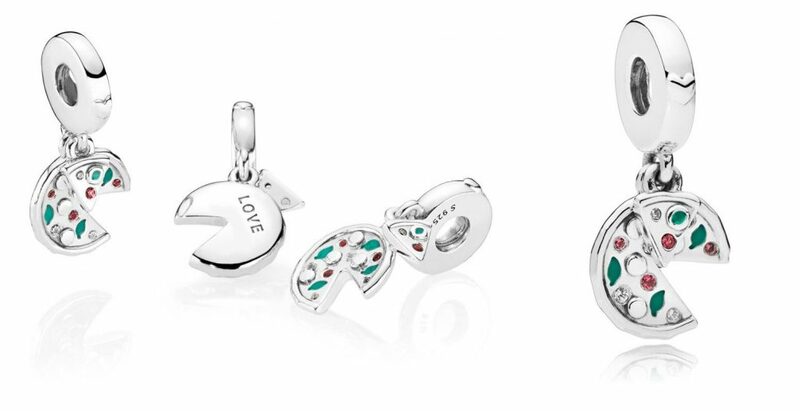 Plain charms that don’t feature enamel or cubic zirconia stones will always be cheaper too. A plain silver charm is normally around $30-40. I hope that helps you get some kind of idea. Hmmm…unique collection. Pod bracelet could be pretty. Spinning charm might have appeal. Rose mesh bracelet might consider. 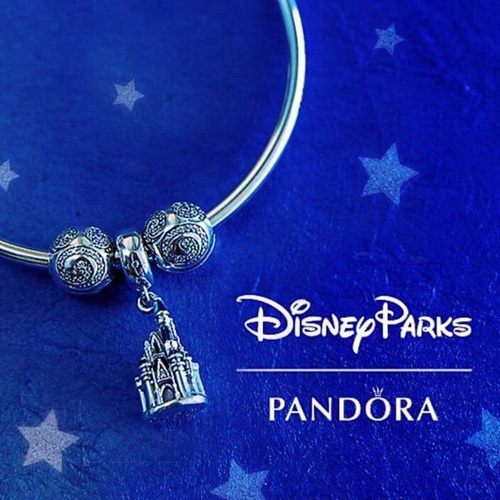 Glad Pandora are producing more travel charms but have no need for Brazil one. The Brazil charm doesn’t really seem to fit with the rest of the collection does it? That’s why I was trying to think if there was going to be a special event held there this year. The Rose Mesh bracelet could be gorgeous but I hope the plating will wear well on that type of texture. I’m excited to see what the full Autumn Collection will include! I guess it must be that. But it seems strange that they haven’t released different versions for other countries. Plus Russia are the hosts for it and not Brazil 😕 Oh well, maybe we will find out soon enough. Brasil 2018 World Cup hosts. That’s the round football game also known as soccer. Thanks for a great newsy post! I was confused about the timing of the Brazil charm as Brazil hosted the World Cup last time in 2014. This year it will be hosted by Russia. Brazil also held the Olympics in 2016 so I wondered what was special this year for Brazil as it is the only country charm. Maybe it’s 4 years late for the 2014 World Cup! Love the Rose mesh bracelet. Bringing back the pods is pretty cool. Will have to check out the gold and diamond one. Love the spinning pendant. Would love to see a double helix one in the future. With the summer burger and fries, adding a pizza one would be fun. Also will check out the hearts and love birds. Might go well with the old love birds and the new teapot and teacup. All in all a nice release. Glad they steered away from the “best friends” concept since that has been done so much. It is refreshing to see some new ideas and I agree that the friends theme gets used a bit too much. I think maybe part of the problem is that the pre-Autumn collection tends to coincide with Friends Day. Did you buy any Love Pods the first time round? The moving charms idea is interesting. I like the idea of more charms with secrets too. For instance if the Enchanted Tea Pot lid hinged open and there was a little mouse inside! Or the Vintage Mickey & Minnie Car having wheels that rotated! Thanks for sharing your views and ideas! Thank you for sharing…bring on the 18K solid gold single pod bracelet…that is on my wish list now,,,I wish some of the other items were made in solid gold also, such as the 4 pod spacer…just delightful…Sheila. The Love Pod spacer is really pretty. Maybe if the gold Love Pod bracelet sells well PANDORA will consider producing more solid gold jewellery again. I am happy for gold collectors that there is at least one thing in the collection though. Thanks for commenting and enjoy your day. Thank you for showing us upcomming releases in advance. 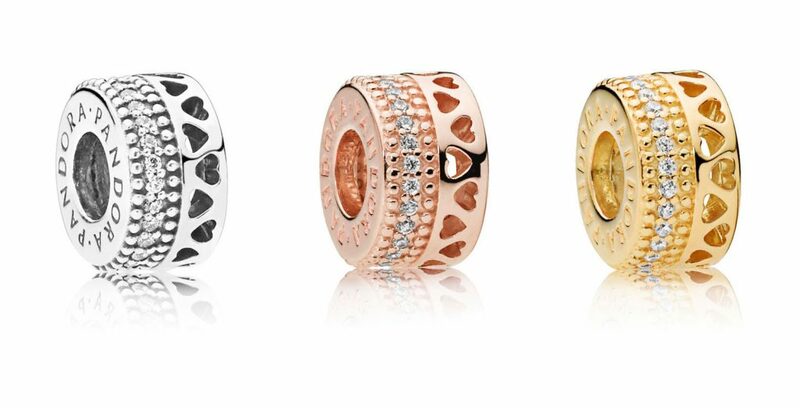 I may be interested in the pod range in silver and the hearts and birds charm in blush. However I need to see them in person first. Anyway I find it a great idea that Pandora has decided to do a ” re-make” of their older pieces. I really hope this will be only the first one and (?). Here´s wishfull thinking ;)! On a different note, I think they should consider making smaller bangles. Thanks again for sharing. Moni. The Love Pod range was really popular the first time around and I’m sure it will be this time too. The 4 Pod Spacer is really pretty. Smaller bangles is a good idea. I wear my Open Bangle a lot more than the normal Bangle as I prefer how it sits snuggly around my wrist. 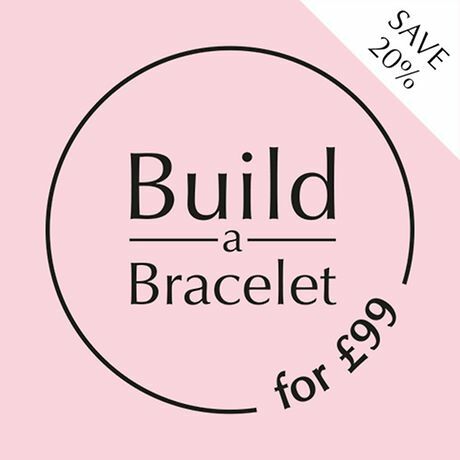 PANDORA have released so many new bracelet styles recently and I’m sure there will be more coming so maybe you will get your wish! Thanks for commenting and enjoy your weekend! The description said 18k gold but yes I agree that it looks like it’s white gold. It’s not a good picture at all and hopefully when I have larger images we will be able to see more. Did you collect the Love Pods the first time round? No I didn’t collect pods earlier. However I am interested in the gold pieces since there are few being released lately. Do you know when Pandora plans to release it? Sorry I don’t have any exact dates yet. I believe it will be in July or August though. Once I receive more information I will update the post. 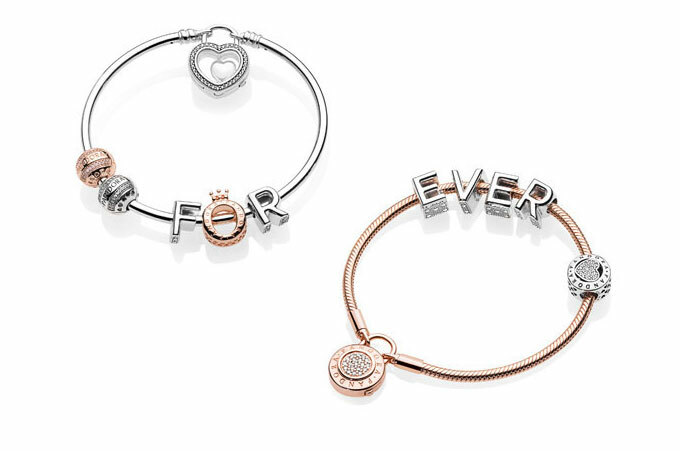 Nothing for me here at first glance – I would definitely look at the 18ct love pod bracelet in store, and maybe the pink love birds charm, it looks a very pretty colour but I already have a couple of that style of charm, so I don’t think I would buy it. I don’t mind though as I have a wishlist of older charms I am working on! Thank you for the preview, it is exciting to see new collections! The Pre Autumn collection doesn’t tend to be very large and I think this one is larger than usual as there are three metal choices for most of the pieces. I really like the idea of using the Crown O to represent my site but I don’t know which colour I would pick. Other than that I will likely be copying you and trying to catch up on my wish list! I love the hearts spacer, will they have that design in a clip? I see the round silicone clip but what about the same spacer design with a clip that opens? As far as I know there is just the round clip in that design, but this is just a preview so maybe there will be more items included. The PANDORA Hearts range always seems to be expanding too so even if they don’t produce a clip in than style this time round, it is likely they will in the future. Thank you for your comment. I have been trying to find out more information on the 18k gold LovePod but I don’t have any more information that than what I have posted. I will keep searching though! Do you you have anything else on your wish list from this collection? I have just discovered that the 18k Love Pod bracelet is not a new bracelet but is retired and was part of the original Love Pod Collection. I have just seen one in a FB Pandora group for sale. It is in new condition and is 18cm for sale for €425 Euro plus postage. Oooh I’ve already seen the earrings but had no idea you could wear them as earring jackets!! Definitely going on my wish list!!! I was surprised at how many ways they could be worn! I think the earring jacket option is my favourite too. 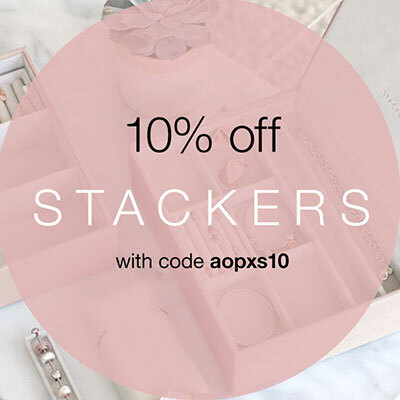 Do you have any PANDORA earrings? I only have a few pairs of studs plus the compose hooks and barrels, but I have been really tempted with the earring jacket style. What else is on your wish list? Could you tell me if there will be any new disney charms out very soon in the uk, as I heard a rumour that there is Christopher Robin ones in the pipeline. Thank you very much. There will be some gorgeous new Disney charms in the Autumn / Winter Collection but I haven’t heard anything about a Christoper Robin Charm. It would be a nice though, I love Winnie the Pooh! The Disney charms I know about are Pinocchio and friends, Mickey Anniversary charms, new castles, plus Snow White and the 7 Dwarves and the little bird. I will try to post something soon. many thanks to your reply regarding Disney charms I shall look forward to the ones that you mentioned with great interest, and I think I need plenty of money to buy them all. They all sound very nice ones to have and I will look forward to the pictures of them all when they are available. Excited about the letter charms. Thank you for the update. I really like the fact that they have different textures and designs on each side. Plus I prefer this chunkier charm design than the pendant style. 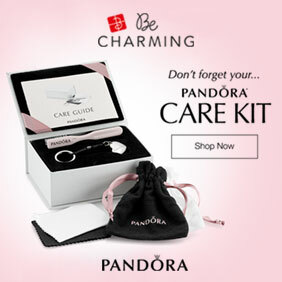 I think this is the largest letter charm PANDORA have produced so far. The letters look cute with the Crown O Charm too. Thank you for reading and sharing your view. 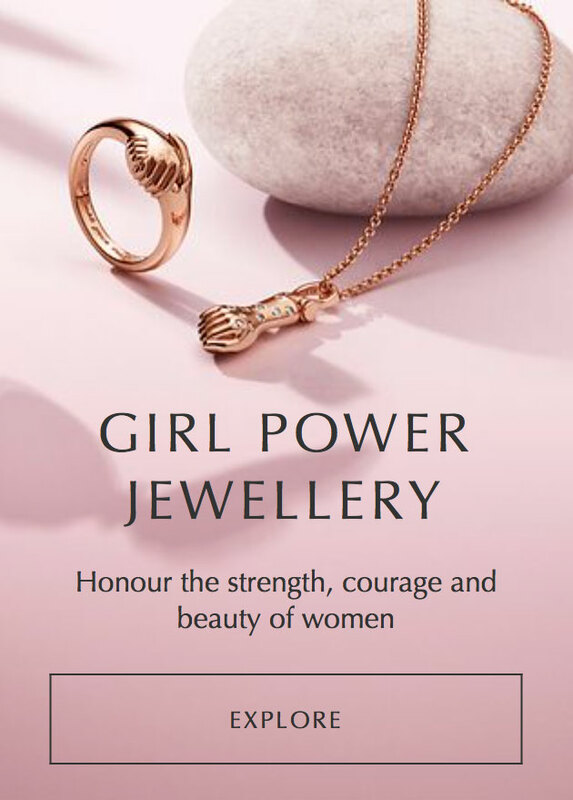 The pods jewellery isn’t up on the UK website. I checked the German one which is updated earlier than some and it’s not there also. Is it coming out? Do you know if the Lovepod collection will be coming to the UK?? I haven’t heard anything officially but I presume the Modern LovePods Collection will be released in the UK. The UK and Europe had a few charms released before Canada and the US and I wonder if that is why they might be having the LovePods range released later. Perhaps it will be released with the Autumn collection.